The People’s Democratic Party (PDP)’s candidate for the forthcoming governorship election in Osun State, Sen. Ademola Adeleke, has called on Governor Rauf Aregbesola, to listen to the civil servants clamour for prompt payment of the arrears of their salaries and make life meaningful to them. The flagbearer stated this yesterday in Osogbo, the state capital, in a statement by the Head of Media and Public Communication of the PDP Campaign Organisation, Mr. Bamidele Salam. He made the call against the backdrop of the three-day warning strike embarked upon yesterday by the workers, following the non- payment of a 34-month salary arrears, allowances and pensions owed by the government. 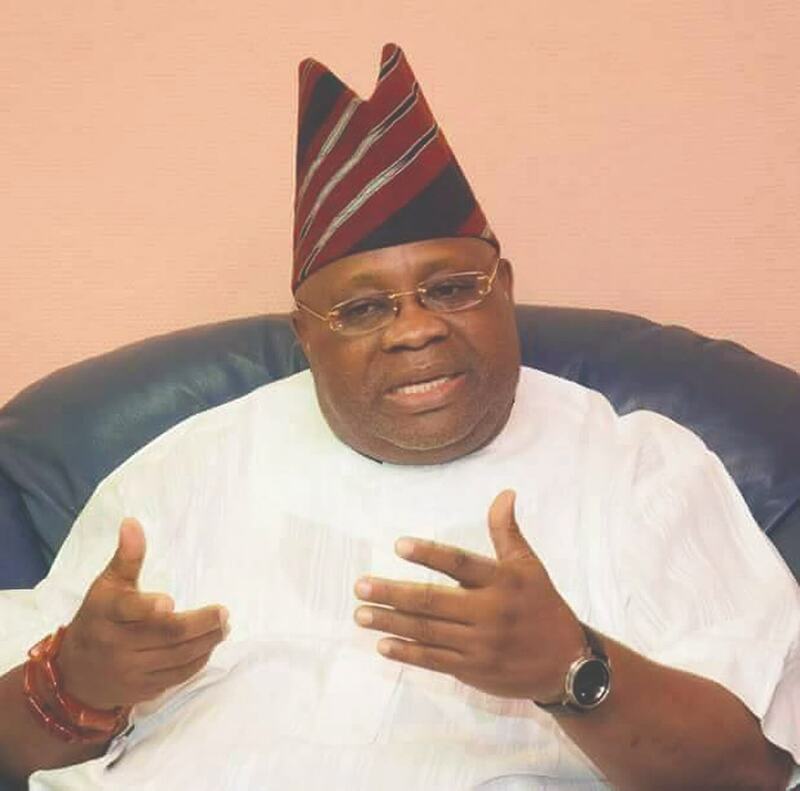 While commending the labour unions for their endurance and decision to resort to constitutional means of agitating for their rights, Adeleke promised that if elected governor, the PDP govern would obliterate all anti-workers policies of the Aregbesola administration and make them proud to be civil servants. He, however, reiterated commitment to the welfare of the people of the state, insisting that he regarded leadership as a call to selfless service. The party leadership also called on the governor to promptly respond to the demand of the workers by ordering immediate payment of the backlog of the workers’ salaries and allowances. The chairman of the party, Soji Adagunodo, made the call in statement made available to Daily Sun, in Osogbo, on Wednesday. He described the nonpayment of the workers’ and pensioners’ financial entitlements as callous and unwarranted. “To make matters worse, Ogbeni Aregbesola continues to make senior citizens who are pensioners objects of ridicule in the society by refusing to pay their meagre pensions and gratuities,” Adagunodo said. He added: “Rather than attend to the germane issues raised by the labour unions while the ultimatum lasted, Ogbeni Aregbesola was busy with desperate political campaigns to install his surrogate as the next governor. In reaction, the All Progressives Congress (APC) described PDP as a failed party which previous administration did not prioritise workers’ welfare and therefore not in the position to teach the APC-led government how to take care of workers. It held that Aregbesola’s APC-led administration took over from PDP when workers’ welfare status had already been in a shambles. It added that it was Aregbesola that came to redeem their hope when he started paying workers’ salaries between 25th and 26th of every month and also increased salaries until economic recession set in. The party’s Director of Publicity, Research and Strategy, Kunle Oyatomi, who stated this in a chat with Daily Sun, added that the governor had assured that he would not owe workers and pensioners a dime before his tenure expires in November. “So, we don’t need the intervention of a failed party to teach us how to take care of our workers. After all, they don’t have any good plan for anybody, Oyatomi said. “The government of Osun and APC may not need the intervention of ‘unserious’ political gang called APC. We are not in the same category,” he added.